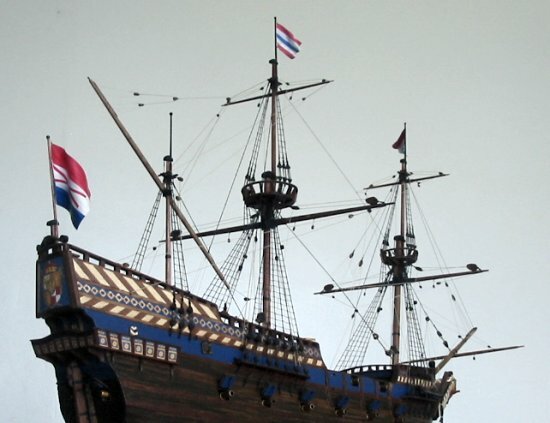 Once the masts are finished the standing rigging can be completed, this generally is of a darker color since it received more treatment than the running rigging. 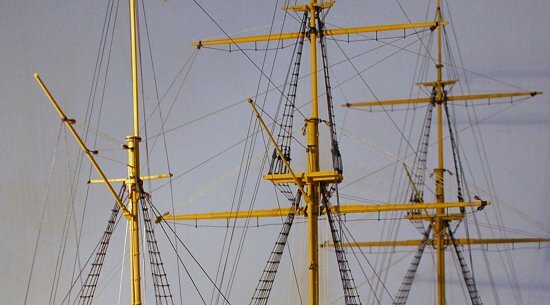 Rigging used to support the masts, yards and bowsprit is called standing or fixed rigging. The lines controlling the sails form the running or working rigging. The rigging is normally fixed in position for static display, however it can be made to work on special request. Blocks will have to be fit with rollers that, if kept to scale, are miniscule and more expensive to produce. On RC controlled sailboat models, you'll often find oversized blocks and pulleys for smoother operation of the working rigging. Gravity does not quite work the same on a scale model as in the real-size world. 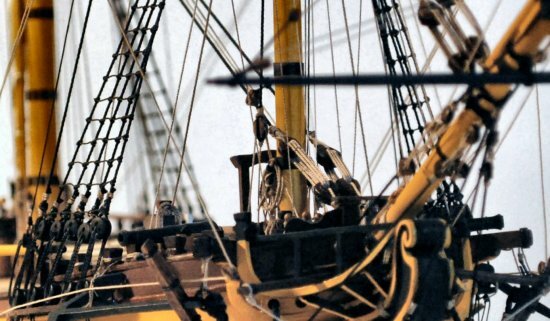 However, during the 17th century, 'gentlemen' would often entertain and impress their guests with hoisting yards and sails on their ship models. 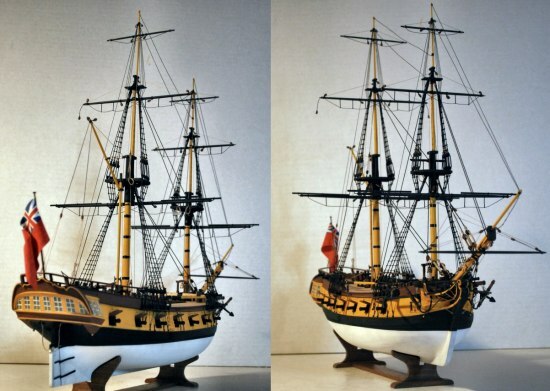 Among the models built during the 17th century are some of the finest and most detailed models ever made.